Science fiction movie Avatar and war thriller The Hurt Locker lead the 82nd Academy Awards nominations announced February 2, 2010. Both movies receive nine nominations each. Quentin Tarantino's Inglourious Basterds follows with eight nominations. Avatar, directed by James Cameron received nominations in the following categories: Best Picture, Best Director, Art Direction, Cinematography, Film Editing, Music (Original Score), Sound Editing, Sound Mixing and Visual Effects. On the other hand, The Hurt Locker, directed by Kathryn Bigelow received nominations in the following categories: Best Picture, Best Director, Best Actor, Cinematography, Film Editing, Music (Original Score), Sound Editing, Sound Mixing and Best Original Screenplay. 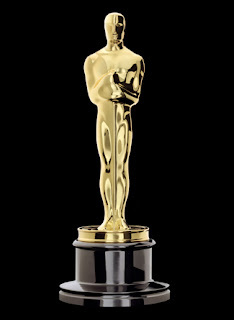 The Academy Awards, popularly known as the Oscars, is the most prestigious awarding ceremony in the world. It is also the oldest awarding ceremony from which other ceremonies like the Golden Globe Awards are molded. Here is the complete list of nominees for the major awards in the Oscars 2010 happening on March 7, 2010. To read the complete list of Academy Awards 2010 nominees including the minor award categories, check out the Oscars official website. The 82nd Academy Awards 2010 ceremony will happen on March 7, 2010 at the at the Kodak Theatre in Hollywood, Los Angeles, California. It will be hosted by Alec Baldwin and Steve Martin.